A massive UnityPoint Health phishing attack has been reported, one in which the protected health information of 1.4 million patients has potentially been obtained by hackers. This phishing incident is the largest healthcare data breach of 2018 by some distance, involving more than twice the number of healthcare records as the California Department of Developmental Services data breach reported in April and the LifeBridge Health breach reported in May. This is also the largest phishing incident to be reported by a healthcare provider since the HHS’ Office for Civil Rights (OCR) started publishing data breaches in 2009 and the largest healthcare breach since the 3,466,120-record breach reported by Newkirk Products, Inc., in August 2016. The UnityPoint Health phishing attack was detected on May 31, 2018. The forensic investigation revealed multiple email accounts had been compromised between March 14 and April 3, 2018 as a result of employees being fooled in a business email compromise attack. Business email compromise scams involve hackers gaining access to the email account of a senior executive and using that email account to send internal emails to try to obtain sensitive data such as W-2 Forms or to convince employees top make fraudulent wire transfers. However, access to an executive’s email account is not always necessary. If the attackers spoof an executive’s email account, it may be sufficient to fool employees into responding. That is what appears to have happened in the UnityPoint Health phishing attack. A trusted executive’s email account was spoofed and several employees responded to the messages and disclosed their email credentials. UnityPoint Health investigated the breach with assistance provided by a third-party digital forensics firm. The investigation suggested the primary purpose of the attack was to divert vendor payments and payroll funds to accounts controlled by criminals. An analysis of the compromised email accounts revealed they contained a wide range of protected health information in the body of messages and attachments. That information could have been accessed by the hackers and downloaded. The types of information exposed varied patient to patient, but may have included names, addresses, birth dates, medical record numbers, diagnosis information, treatment information, lab test results, health insurance information, surgical information, provider names, dates of service, driver’s license numbers, Social Security numbers and, for a limited number of patients, financial information such as credit card numbers. A year of credit monitoring services has been offered to affected patients whose social security number, driver’s license numbers, or financial information has been exposed. UnityPoint Health says it has not received any reports of PHI misuse to date. This is not the first UnityPoint Health phishing attack to be reported in 2018. In April, UnityPoint Health announced it had discovered several email accounts had been compromised resulting in the exposure of 16,400 patients’ PHI. Unauthorized individuals gained access to employees’ email accounts between November 1, 2017 and February 7, 2018. In response to that attack, UnityPoint Health said it had strengthened security controls to prevent further attacks. Whatever additional controls had been implemented clearly were not effective at protecting against email impersonation attacks. 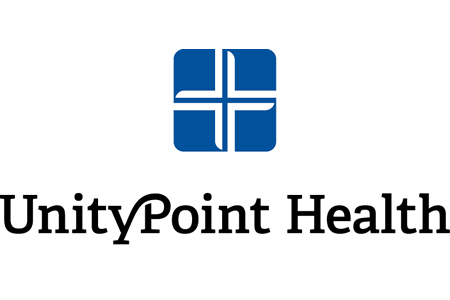 The latest breach has prompted UnityPoint Health to implement further security controls, which include the use of two-factor authentication on employee’s email accounts, additional technological controls to detect suspicious emails from external sources, and further training has been conducted to help employees recognize phishing attempts. When multiple data breaches are reported by a healthcare provider, especially breaches that involve large numbers of patient records, the Department of Health and Human Services’ Office for Civil Rights takes a keen interest. An investigation into these phishing attacks is likely to be conducted, with the UnityPoint Health’s security controls and security awareness training programs likely to be carefully scrutinized for evidence of compliance failures. Even without fines for non-compliance, data breaches on this scale can prove incredibly costly. Recently, the Ponemon Institute/IBM Security released the results of its 2018 Cost of a Data Breach Study. This year’s study showed the average cost of a data breach has risen to $3.86 million for a breach of up to 100,000 records. The healthcare industry has the highest breach costs at an average of $408 per record. For the first time, the study investigated the cost of ‘mega’ data breaches – Those that involve the exposure of more than 1 million records. The cost of resolving these mega data breaches was estimated to be $40 million when more than 1 million records have been exposed.